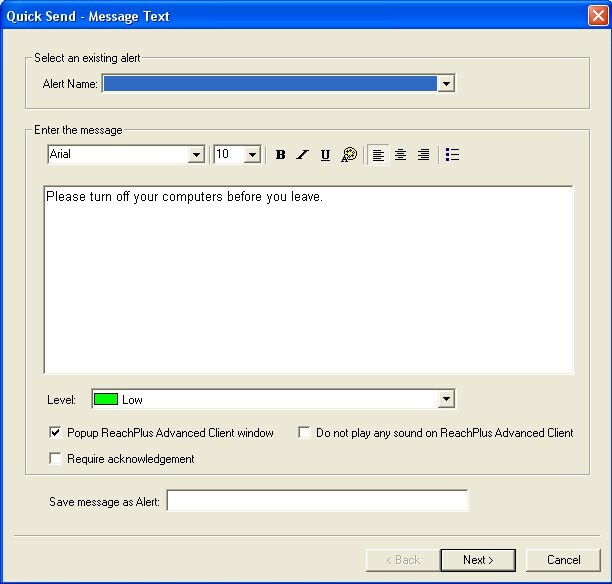 ReachPlus Alerts 4.0 is chat & instant messaging software developed by tekAlign, Inc.
ReachPlus Alerts 4.0 supports English interface languages and works with Windows 98/XP/Vista. 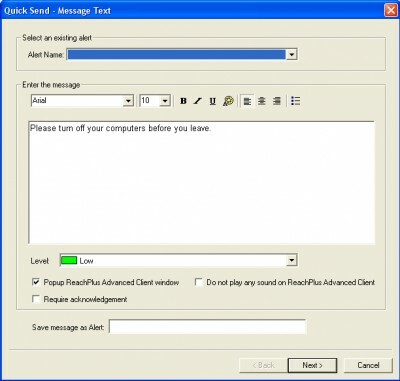 We have tested ReachPlus Alerts 4.0 for spyware and adware modules. The software is absolutely safe to install. Our website has thoroughly tested communications product ReachPlus Alerts 4.0, written the review and uploaded installation file (476K) to our fast server. Downloading ReachPlus Alerts 4.0 will take several seconds if you use fast ADSL connection. Custom alerts and email notifications and their editing in Microsoft SharePoint.